"Thank you for all that you did for me on this... you are great! I appreciate you adapting our logo and am so excited to have a place that I can order custom gifts all year round. Your attention to detail and follow through really made the process so easy and painless. The jars are a big hit and customers have already started calling to thank me! Thanks again!" "Just received my Iconic Cookie Jar loaded with cookies and my staff is devouring it as we speak. I wanted to let you know, little things like that keep customers like myself coming back. It's a great reminder for me to get on the ball with my orders and also a tasty reminder of how great those cookies are." Choose gifts that are tasteful reminders of your company year-round. Thanking your clients, customers, or employees is also about making the right impression. 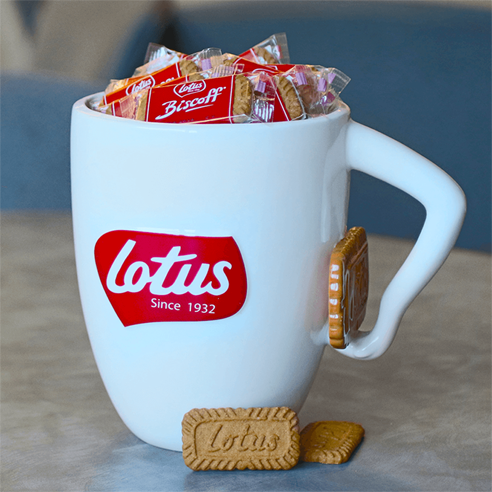 Set your company apart, and show your excellent taste by giving gifts from Lotus Bakeries. We serve businesses of all sizes with a wide variety of options. Not sure what to choose? Our experienced staff can help, recommending selections to fit your particular objectives and budget. Call us at (888) 323-6874 and select option 2 to be put in touch with our specialists or email us at businessgifts@shopbiscoff.com for large orders or for assistance placing your order. Customize your gifts by adding your company name or logo. 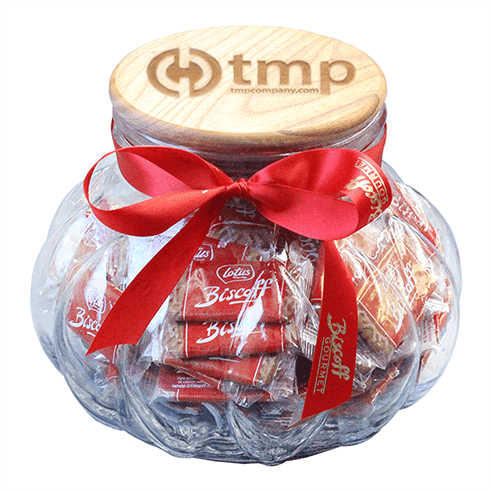 Laser etch your logo or name on our Mediterranean Glass Jar Lids giving your gift a custom touch. Minimums and lead times vary. Call for details and costs. Call one of our expert, knowledgeable customer-care representatives at (888) 323-6874 (Select option 2). We can guide you through the ordering process, handle large gift orders and orders for multiple recipients. We can also assist you with orders for personalized items.